Contact our Customer Service for availability and price in your country. 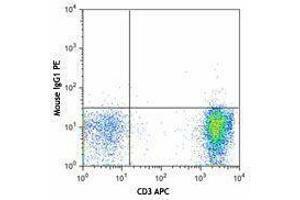 Purification The antibody was purified by affinity chromatography and conjugated with PE under optimal conditions. 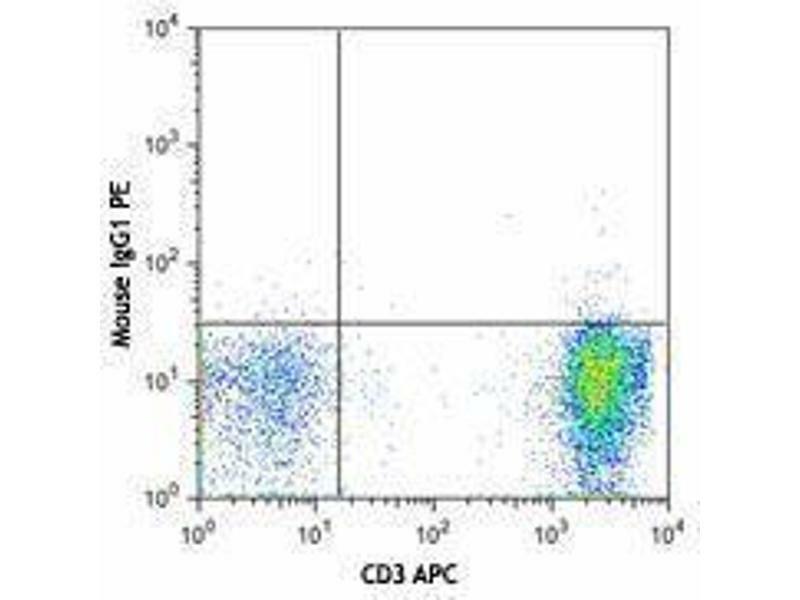 The solution is free of unconjugated PE and unconjugated antibody. 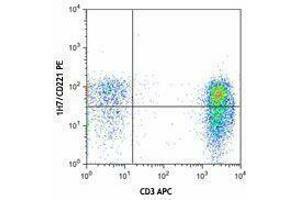 Background CD221, also known as insulin-like growth factor 1 receptor (IGF1R), is a 135 kD transmembrane receptor. It is widely expressed on lymphoid and myeloid cells as well as non-haematopoietic cells. 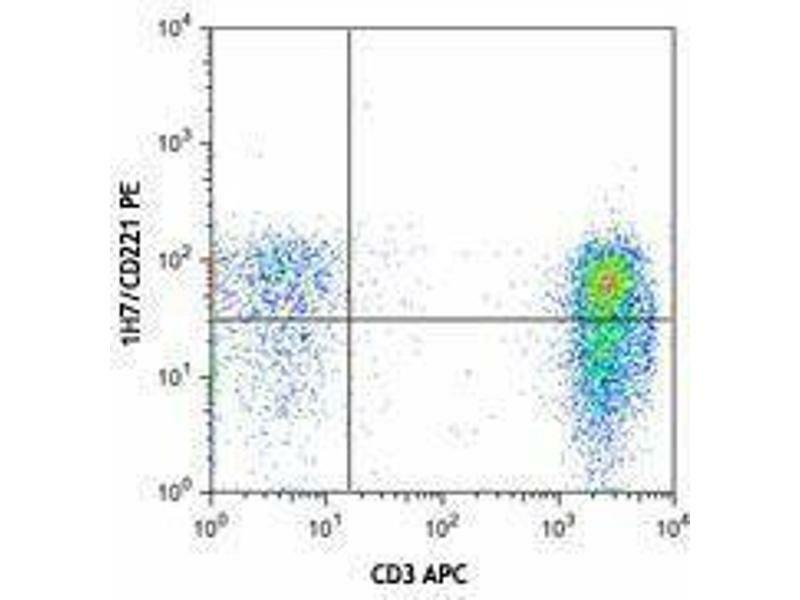 CD221 is a tyrosine kinase receptor and the ligands for CD221 are insulin-like growth factor 1 and 2 (IGF-1 and IGF-2), the polypeptide hormones similar in molecular structure to insulin. IGF-1/2 binding activates downstream PI3K and MAPK pathways and plays an important role in cell growth. Recent studies reveal its function of recruiting immune cells during tissue repair. Application Notes Optimal working dilution should be determined by the investigator. Buffer Phosphate-buffered solution, pH 7.2, containing 0.09 % sodium azide and 0.2 % (w/v) BSA . Handling Advice Protect from prolonged exposure to light. Do not freeze. Storage Comment The antibody solution should be stored undiluted between 2°C and 8°C.